Brussels – Belgian Deputy Prime Minister and Minister of Development Cooperation Alexander De Croo joins forces with IOM, the UN Migration Agency, to build a comprehensive price comparison app for international money transfers (remittances). Belgium will support the development of MigApp: an app that provides objective information to migrants about migration, and includes a price comparison tool for international money transfers. Remittances are the private funds that migrants send to their home countries. 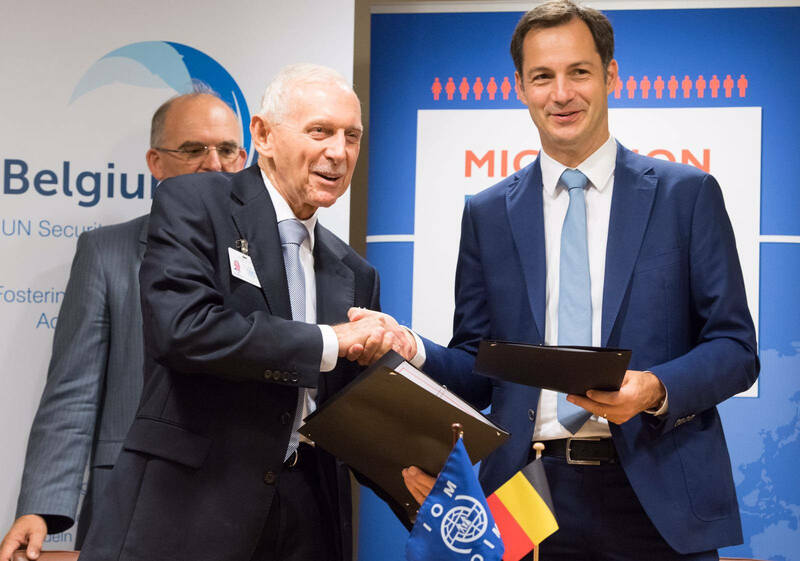 At the request of Minister De Croo, IOM is expanding the app so that services from all fourteen partner countries of the Belgian Development Cooperation can be integrated in the price comparison tool. This extension has been made possible thanks to a new partnership between IOM and RemitRadar, an online financial technology provider active in the field of remittances. With the app, users will be able to assess the cheapest service provider options for sending money home. Belgium is one of the four pilot countries where the app has been launched. Other EU pilot countries include Greece, Ireland and The Netherlands. According to World Bank figures, migrants sent USD 466 billion to developing countries in 2017, an amount that exceeds the amount of official development aid three times over. As such, migrants contribute greatly to the economy of developing countries. However, the problem with remittances resides in their high transfer costs. On average, the cost of sending the money is equal to 7,1 per cent of the amount being sent; for remittances to Sub-Saharan Africa this transfer costs are 9.4 per cent on average, and even higher in some cases. The UN has, in the framework of the Sustainable Development Goals, agreed to lower the costs of remittances to an average of 3 per cent by 2030.